These are the RHINO 11" White Syntex Fastpitch Softballs with poly core from Champion Sports. 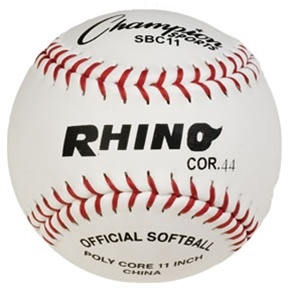 Ordering a large quantity of fastpitch softballs for your team or league? Call us for volume discount pricing.